We stayed with my sister, who lives in a picturesque, small town south of Cleveland OH, while spending the week-end celebrating my aunt’s 96th birthday. 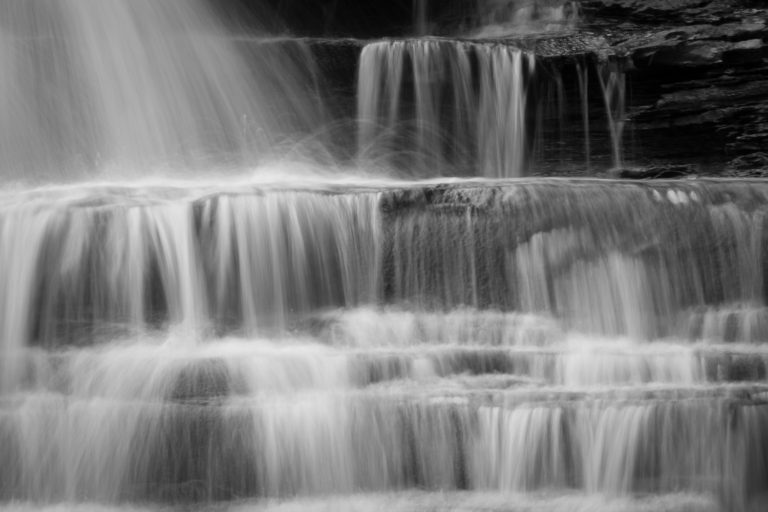 My sister took us to Brandywine Falls in Cuyahoga Valley National Park. She was happy to take a break from her busy life and sit on a bench enjoying the falls when my husband and I explored the many facets of the falls. 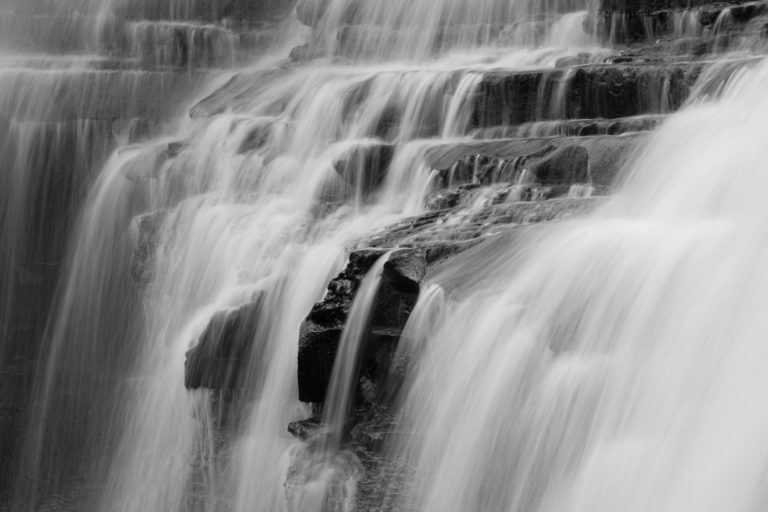 I used my Fuji X-T1 at 1/4 second shutter speed to smooth out the water. Often logs detract from waterfall photos, but I was happy to find a well-worn tree that added to the overall feeling by creating more small cascades. This is my favorite kind of waterfall that has many small cascades within the waterfall with many opportunities for intimate landscapes. It is interesting that not all of the water is falling down and some goes up in arches. The last photograph shows more of the personality of the rocks. Can you find the face? Thank you Connie! 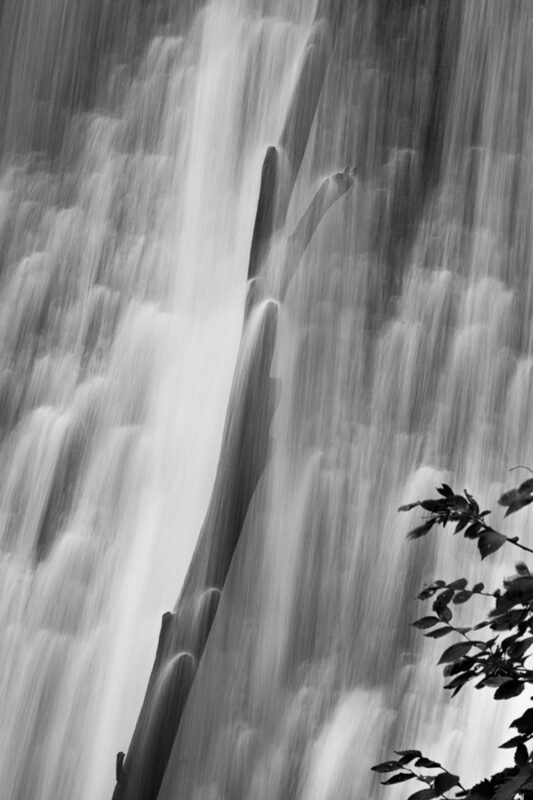 I love B&W for waterfalls and I am glad that you enjoyed it too.